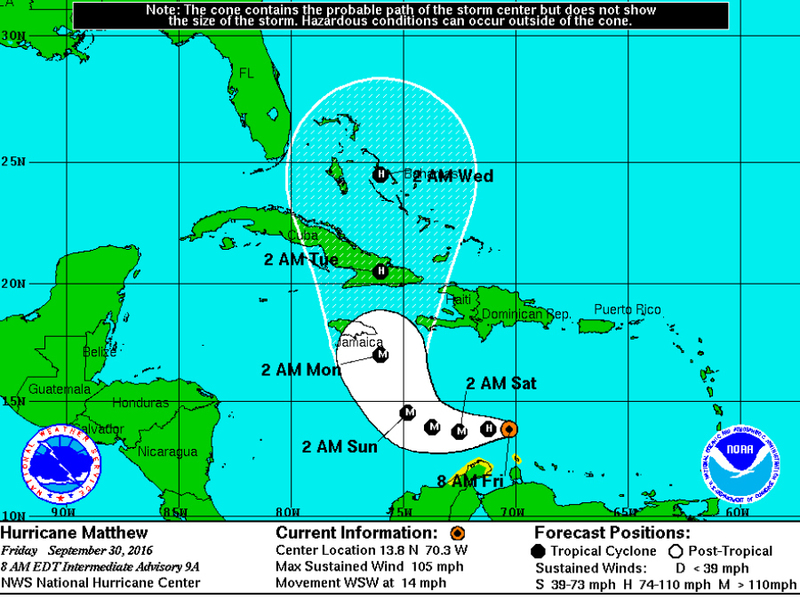 Hurricane Matthew continues to quickly grow and strengthen in the Caribbean, and it's now the second major hurricane this season. A hurricane is considered a major hurricane once it reaches category 3 status. Hurricane Matthew hasn't directly hit any land yet, which is one reason it's been able to intensify so quickly. That's expected to change early next week when the storm could make landfall in Jamaica and/or Cuba. Once the hurricane moves over land, it's expected to weaken somewhat but still move closer to the Atlantic Coast of Florida. As of right now, Florida's going to avoid a direct hit, but they can still expect rough seas, some stronger winds and rain. That's most likely to arrive in the middle of next week. Of course, that could change depending on what the storm does over the weekend.